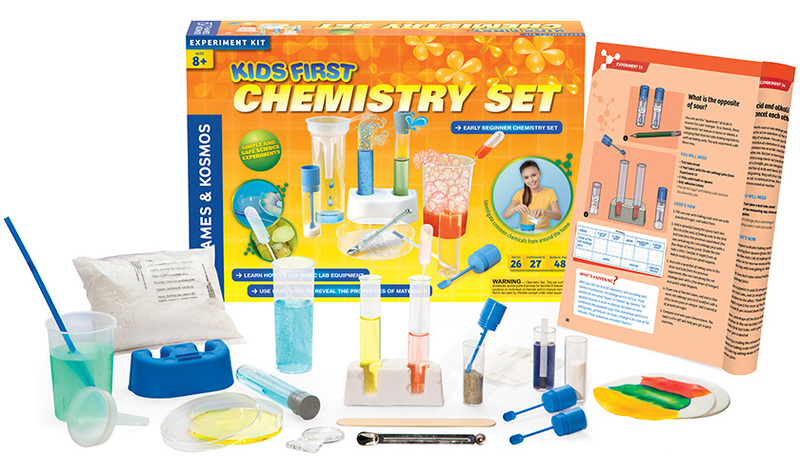 Kick off a chain reaction of fun-filled experiments with this introductory chemistry set designed specifically for young kids. 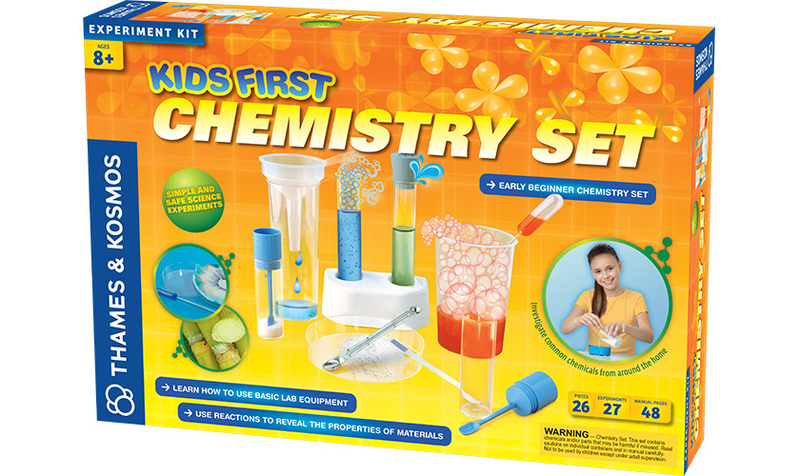 Junior chemists can safely explore simple chemistry using the tools in this kit and common household substances from the kitchen and bathroom. 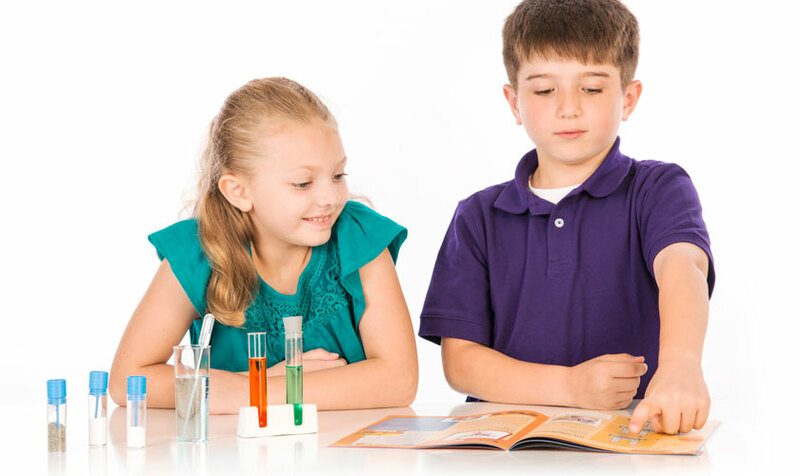 Learn how to use basic chemistry equipment such as filters, test tubes, pipettes, and measuring spoons, and beakers. Make your own test tube racks out of plaster and learn about the chemical reaction that forms them. Experiment with acids and bases using indicators (pH strips and cabbage juice) to identify them. 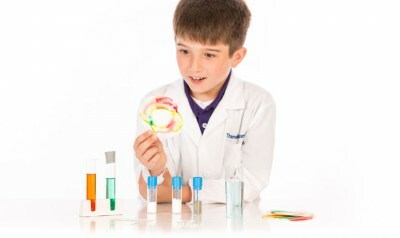 Make fizzy reactions with acids and bases to dissolve shells and extinguish candles. Discover the invisible gas carbon dioxide and its very visible effects. 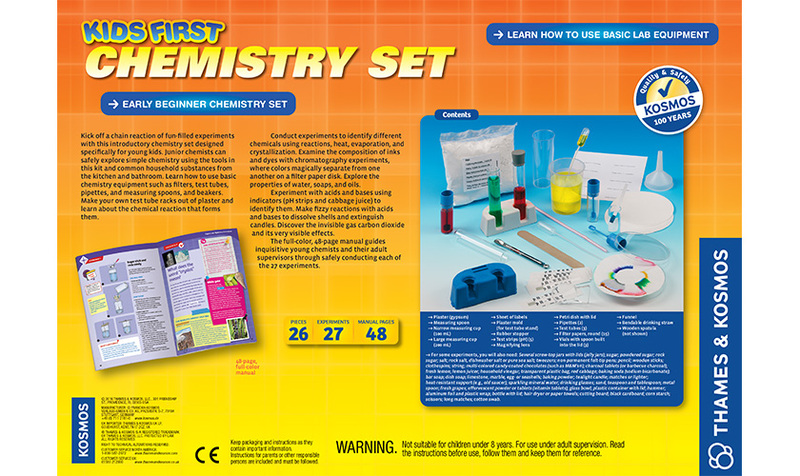 The full-color, 48-page manual guides inquisitive young chemists and their adult supervisors through safely conducting each of the 27 experiments.